The gambling law of Kazakhstan does not prohibit gambling, but, like Russia, all gambling establishments in the country should be located only in specially designated places: on the coast of the Kapshagay reservoir in the Almaty region and in the Shchuchin district of the Akmola region. In this regard, in the cities of Kazakhstan since 2007, all casinos have been closed. Casino Kazakhstan Of course, this interpretation of the law forced many owners of gambling houses in the country to go underground. Therefore, the facts about the illegal casinos of Kazakhstan and their cover are still being revealed. For example, in 2011 alone, 63 gambling establishments in the country were stopped and 29 electronic roulettes and 728 slot machines were withdrawn from use. But, despite the fact that Kazakhstan provides for criminal liability for renting out premises for casinos, there are brave people who suppress the law. Meanwhile, legal casinos in Kazakhstan offer their services to law-abiding citizens, true connoisseurs of gambling, in a place designated by law. One of these casinos is the casino “Riviera”, located on the coast of Kapshagai and has its own beach, an outdoor pool, a restaurant and a playground. 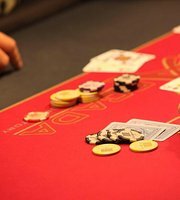 In the Riviera casino, players can choose from a number of gambling games: card games (baccarat and blackjack), poker (Texas Hold’em, six-card, Russian poker, oasis poker and European poker), American roulette. If desired, in the intervals between games, you can visit the restaurant. Also at the casino there is a night club, a sauna and a hotel where you can relax and unwind after all the entertainment. 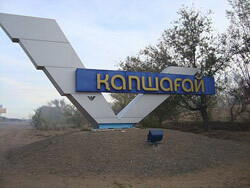 Another casino in Kazakhstan, where you can have a great time, is called “Laffaette”. It is located in the resort area of ​​Borovoye, Akmola region. In this casino, there are 22 gaming tables for the game and there are 4 “privat” rooms for those players who prefer to play at high stakes. The range of entertainment in the casino includes card games, where only poker has four varieties (Russian poker, six-card, oasis poker, Texas Hold’em), gambling roulette (only American roulette is available) and other games. The atmosphere in the casino is calm, the game is accompanied by the sound of “light” background music. At any time, you can use the bar and sip your favorite soft drink. Alcoholic drinks in the bar is always in the range. If you wish, you can go to the restaurant and enjoy delicious dishes of national and Japanese cuisine. In the casino of Kazakhstan “Laffaette” various draws of valuable prizes and large sums of money are regularly held. Sometimes cars and even apartments are played out. 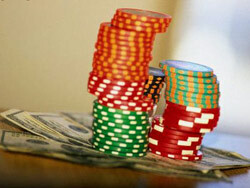 Service at the casino is at the highest level, however, safety in a gambling establishment is given no less attention. Customers of the casino, who arrived in Borovoye by car, can leave the car in the free parking. It works around the clock. Entry to the casino is allowed to persons whose age is 21 years or more. In an institution you can not abuse drinks, talk loudly and use obscene words. Photo and video shooting is prohibited. The form of clothing has no special requirements. However, beach shoes, work or sportswear to visit a gambling establishment will not work. The administration of the casino can simply refuse visitors, thus dressed, to enter the premises. However, Kazakhstan is not limited to these two casinos. There are other gambling establishments in which you can fully satisfy your passion for gambling and get unforgettable impressions from it.